If you're looking for a good face mask, I have a recommendation. Nothing I use is expensive but it's effective. That's what matters most. This is not a sponsored post; I write good reviews when the products show good results and vice versa. I found this Taiwan made mask called Annie's Way (hate the name!). Nothing fancy or glamorous about its name here but the products, work like a miracle. Annie's Way has gel type masks that come in a jar and face mask sheets. I'm using both types. 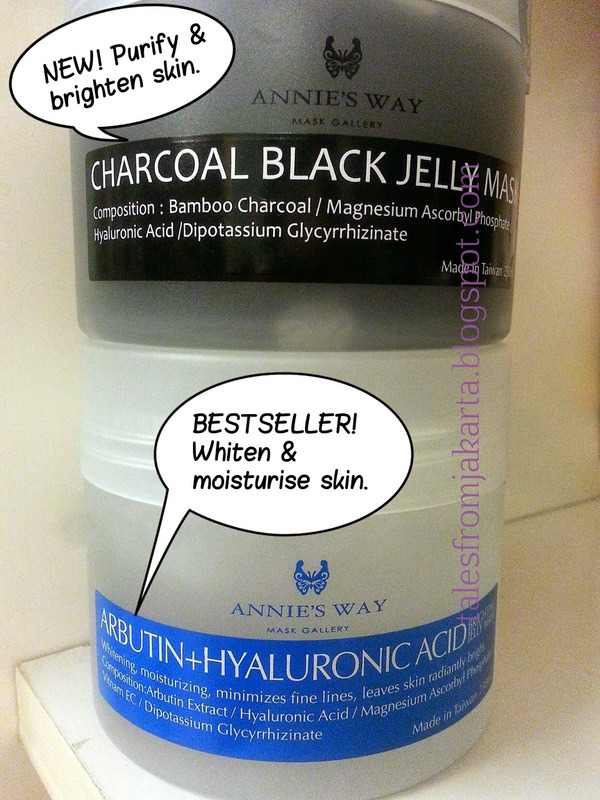 The Arbutin + Hyaluronic Acid Jelly mask is wonderful! Instant brightening effect and skin stay soft and supple throughout the night. The trick here is not to wash off the mask but towel it off. Not a good idea to tissue it off because the leftover mask residue is really sticky. So, use a damp towel instead. 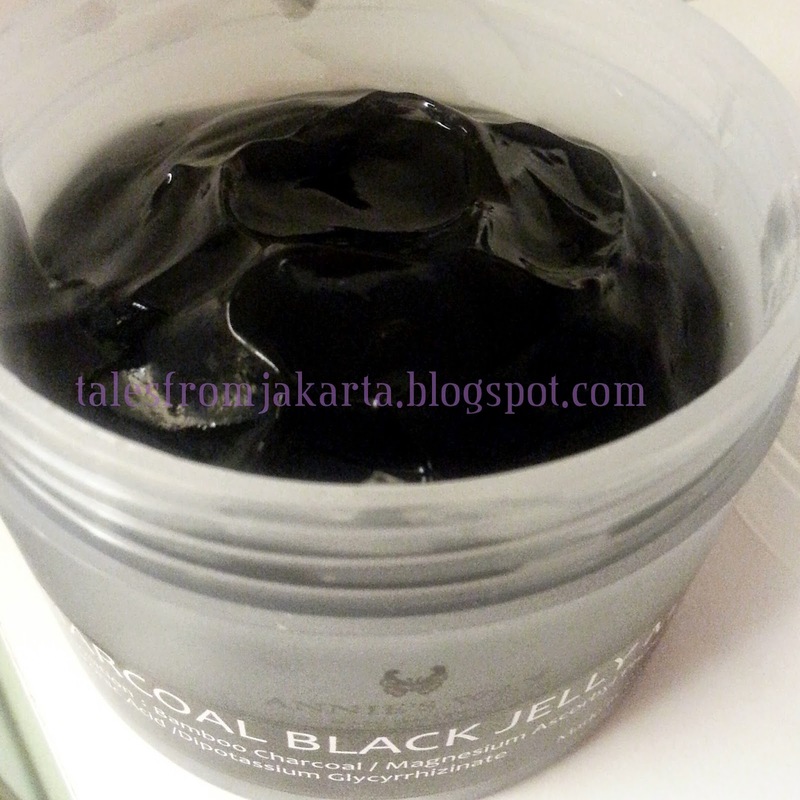 I also bought the new Charcoal black jelly mask, which is more for oily skin, to draw out impurities from the skin. 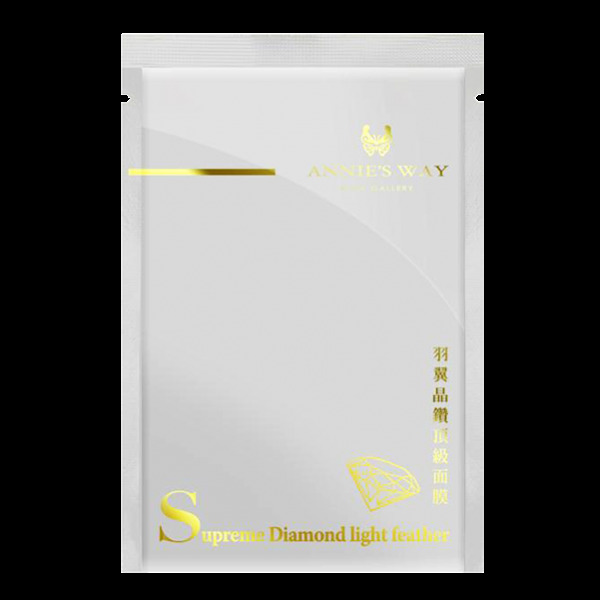 The other type of mask that I'm using is the Annie's Way Supreme Diamond Light Feather mask sheet. It claims to prevent wrinkles, whitens, tones and moisturises skin in 1 easy step. An easy alternative for me when I need something quick to perk up my skin. The mask sheet is so thin (it looks almost transparent on my face) and its essence doesn't dry out as fast as other typical mask sheets in the market. The effect: my skin is well moisturised after each usage although the brightening effect is not as good as the Arbutin Jelly mask. Currently Annie's Way is available in Malaysia. You can get it at any MaskSlim outlets. Not available in Singapore yet, I've checked. The good news is Mask Slim is also available online. They're having good promos now. 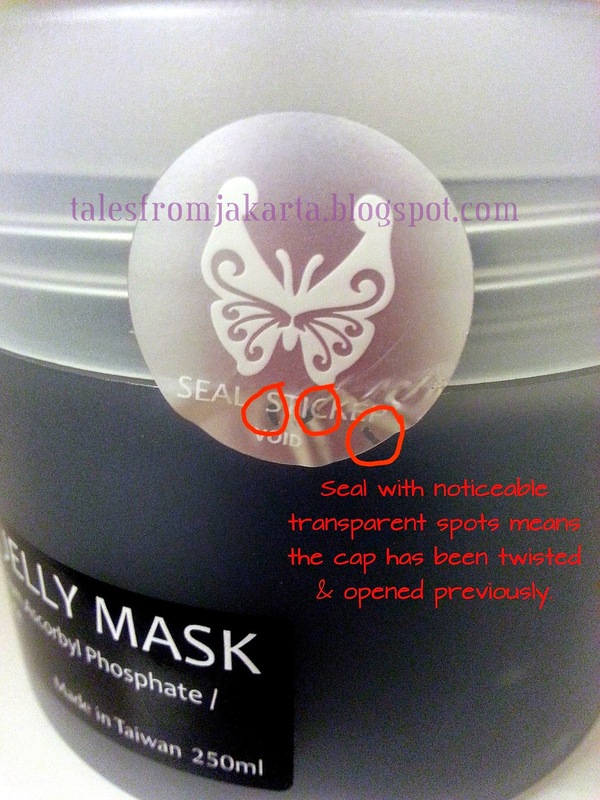 Jelly mask is selling for RM76.50 per 250ml jar at MaskSlim online store. If you shop at their outlets, the jelly masks cost RM85 (normal price) but it comes with FOC 3 pieces of mask sheet that cost RM7 each. Jelly masks are also available in trial/travel packs costing RM8 per 25ml pack. The Supreme Diamond Light Feather mask is selling for RM9 per piece. The promotion now is purchase 5 pieces, and you'll get another 5 pieces for free! Labels: Beautify me, Reviews: Yay or Nay?, What a steal! Is it okay to use Annies Jelly mask every night? Shouldn't be any problem because I'm also using it nightly. Perhaps you want to alternate it between 2 variants/types too.